Custom Die Cut Boxes. Cosmetic labels on Gloss Polypropylene with permanent adhesive wound for machine application. Digital Printing. Wrap-around CD Cover with stitched in insert for Event information. 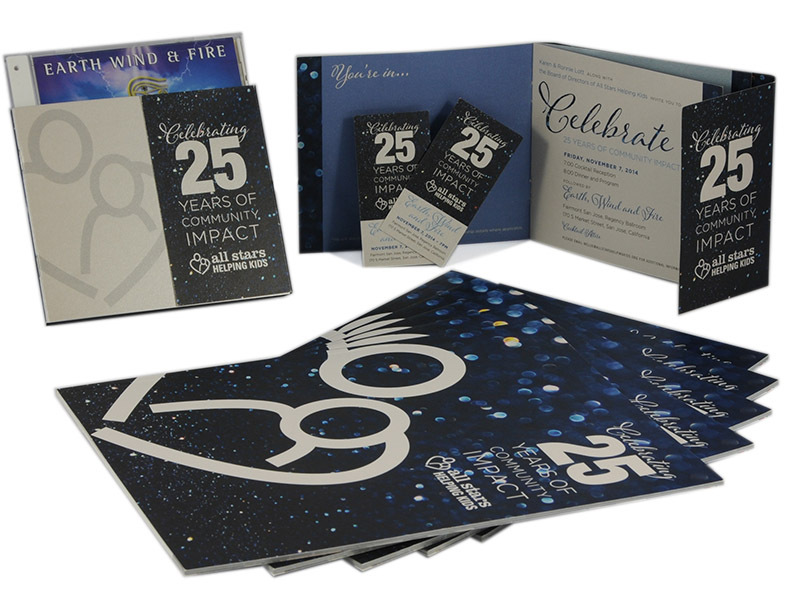 Tickets, Envelopes and Event Program all on Metallic stock.